As an undergraduate student in the College of Arts and Sciences, Nancy Fraley (’93) learned how to learn. After graduating with a degree in religious studies, Fraley went to Harvard Divinity School and then on to study international human rights at the University of San Francisco School of Law. “One thing I got from all my liberal arts education and being able to study a smattering of different subjects having both breadth and depth is that I learned how to learn and could teach myself pretty much anything,” Fraley says. While working at a law firm in California, Fraley attended a fundraiser where they were serving distilled spirits. One taste of a Cognac-style brandy changed everything. Fraley quit her job at the law firm and traveled through Morocco, Spain, and Mexico. 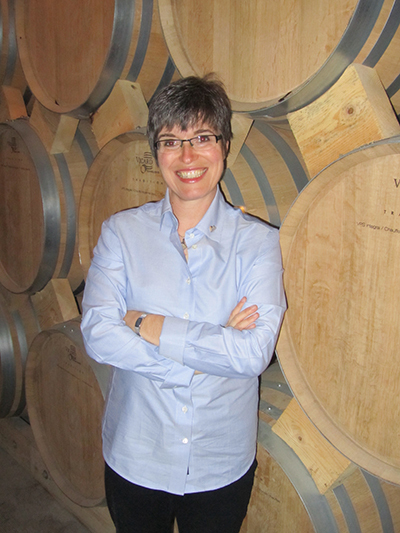 Fraley is the owner of Nosing Services and provides custom blending, product formulation services, creation of maturation programs, and sensory analysis for distilleries worldwide. 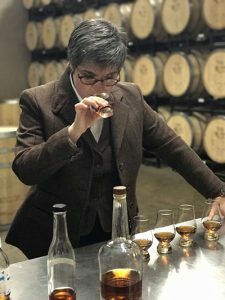 She is also the director of research for the American Distilling Institute, creator of the American Craft Whiskey Aroma Wheel, and a teacher of classes on olfactory and sensory analysis for craft distillers. Fraley first became intrigued with Buddhism in 1978 because one of her favorite actors on the television show Dallas was a Buddhist. She had her first meditation experience a few years later when her mother was in the hospital. Her interest continued through high school, but when Fraley arrived at UT, she was not sure what she wanted to study. She dabbled in political science and spent a brief period as a music major. When she took a couple of courses in religious studies, however, she knew there was no turning back. Fraley is still a champion of the liberal arts and values her experiences in the Department of Religious Studies at the University of Tennessee, Knoxville.